Understanding women’s position in Orthodoxy: perception versus reality, and the role of stringency in the authenticity debates. 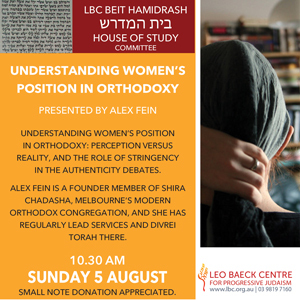 Presented by Alex Fein, a founder member of Shira Chadasha, Melbourne’s modern orthodox congregation. A small note donation is appreciated.